Hello! Who's me you ask? Well,i'm an unemployed finnish person who likes collecting toys,videogames and cosplay. I go by the name Sampo. I got into Swat Kats VERY recently. Just checked an internet review or something and started watching it and started loving it after a few episodes. The show just managed to amaze me in certain ways. That resulted in adding Callie to my cosplay list scheduled to probably the first or second winter convention next year. Now for some favourite things list. Things that make me happy in general:Friends,Hobbies,Doing things togheter with friends,going outside in summer,fiddling around with transformers toys,accomplishing stuff that would help me get a job. But enough exposition for now,and may the cat puns be with you! 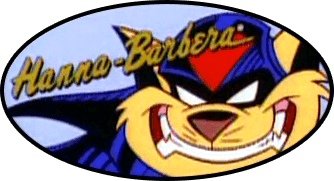 Hopefully we'll get along and maybe get some discussion going about radicool 90's fighter jet cats. I ship felina x callie with a burning passion. Hello there! Welcome to MegaKat City, friend! slothful artist / dynamic gamer / mechanized bum.